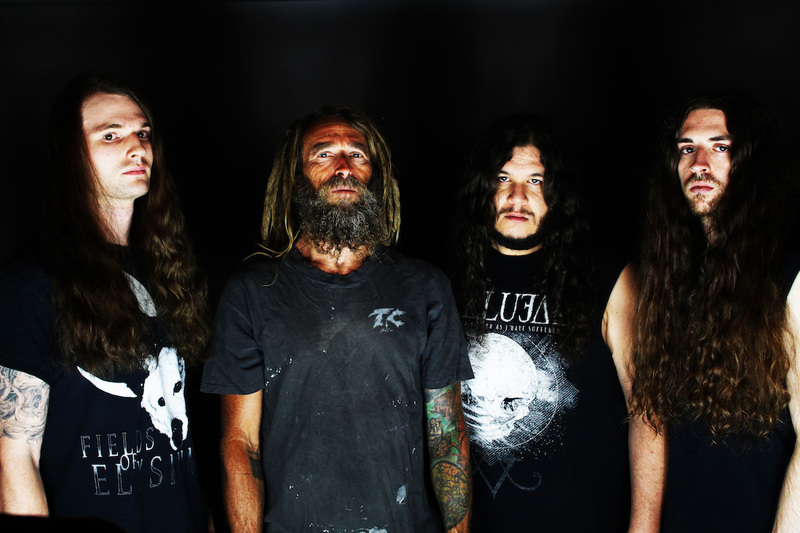 Seven years since their last release, Northern California technical death metal band Decrepit Birth takes their technicality to a whole new level upon the creation of their new album ‘Axis Mundi’, set to be released under Nuclear Blast Records on July 21st. This is the band’s first record to feature drummer Sam Paulicelli and bassist Sean Martinez alongside Bill Robinson (vocals) and Matt Sotelo (guitar). 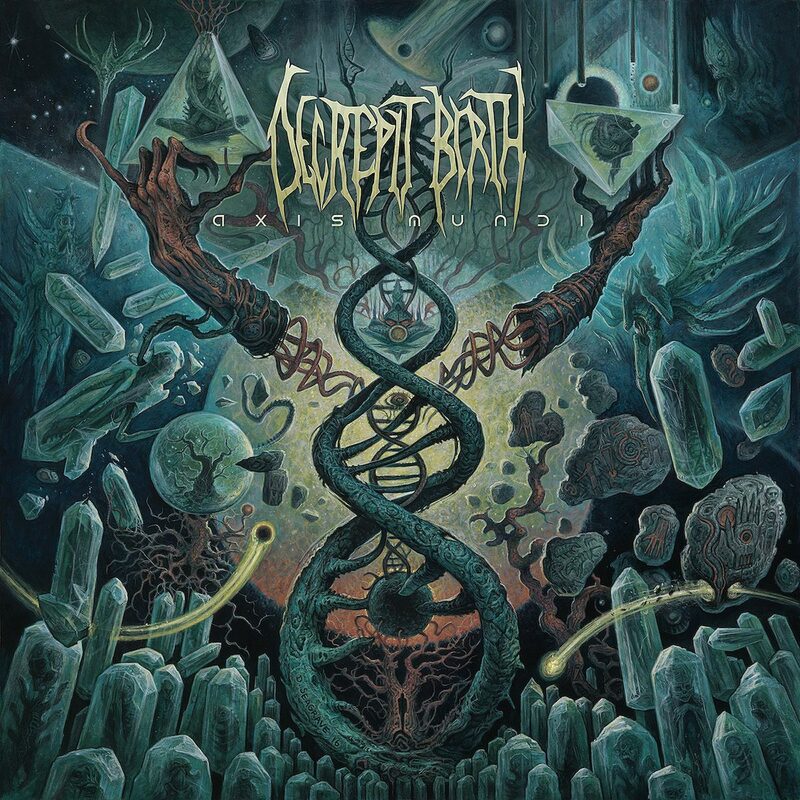 Decrepit Birth comes at you with a pretty deep concept for this album. Axis Mundi by definition is, to some extent, the center of the world – or it can also be referred to as the connector between Heaven and Earth. That concept alone, mixed with the blazing musicality that Decrepit Birth has to offer, creates one hell of a listening experience, and displays their evolution as a band and self-declared experimentation. ‘Axis Mundi’ transcends the typical “box” that death metal, as a whole genre is put in. Decrepit Birth goes beyond murder and gore with their lyrical inspiration for this record, and take it to a more synodic level. Similar to their music, the lyrics and concept behind ‘Axis Mundi’ is complex. The album opens up with an ‘out of this world’ intro, like we’re about to blast off into another dimension before transitioning into a heavy, broken up riff. Decrepit Birth are in a category of their own when it comes to their genre of death metal. The band approaches technical death metal not as ‘how can we play faster’, but truly in a way that tempo doesn’t even seem to be a factor in the creation of their music. The speed of the drums, bass and guitar vary throughout the album, and what seems to be the main focus is truly making the music technical – layering different parts and working to create a piece of music that will blow your mind, and not necessarily break your neck. ‘Hieroglyphic’ stands out on the album as the song that really describes where the band is right now. The numerous tempo changes and subtle breakdowns, the chunky bass lines paired with strategically placed guitar riffs and frills rounded out by purely incendiary percussive work creates about as unique a listening experience as a death metal track can give you. Not to mention, the album closer ‘Embryogenesis’ works to incorporate orchestral elements making it an extremely complex track – and probably my favorite on the entire album. ‘Axis Mundi’ shows that Decrepit Birth won’t shy away from musical experimentation, and in fact embrace that they’re willing to explore the genre of death metal.